With the new year comes new things. Whether it's Christmas presents or bargains you picked up in the sale, a few new treats always brightens up January. 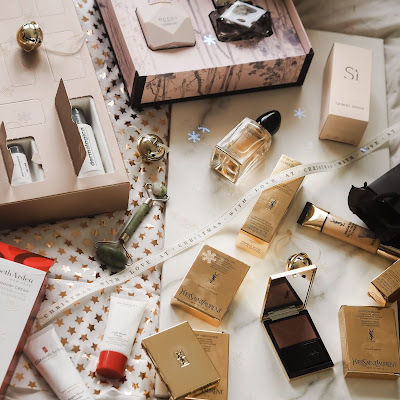 Here's a few of my favourite things I was kindly given for Christmas this year, shop below and read more for my thoughts on each! 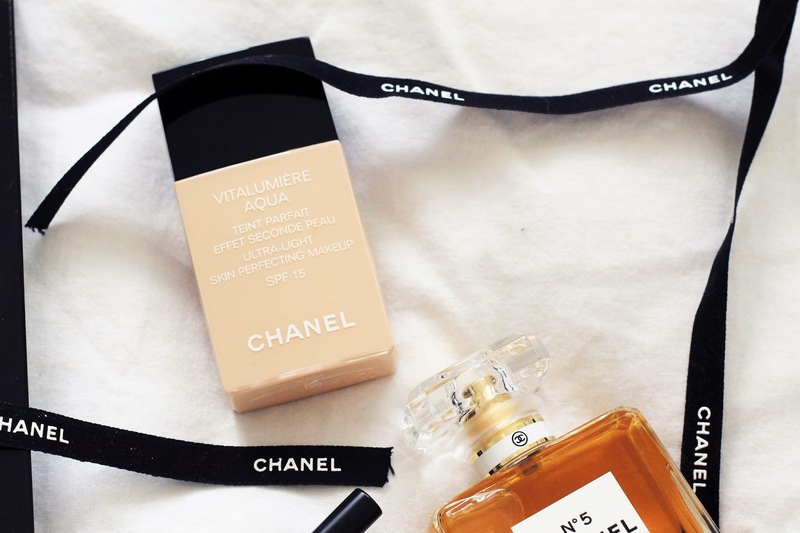 Now if there's one thing I've certainly done well on this year it's the Chanel beauty front. I'm a sucker for their products, so much so it wasn't to hard for my family to catch on. 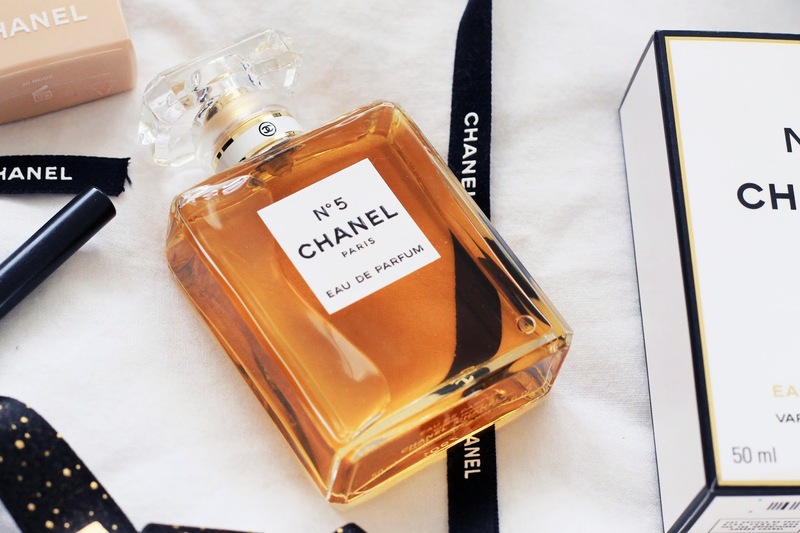 From my Mum and Dad I was given the iconic Chanel No5 perfume, heady but heavenly it's a perfect distinctive scent that I'll save for special events. 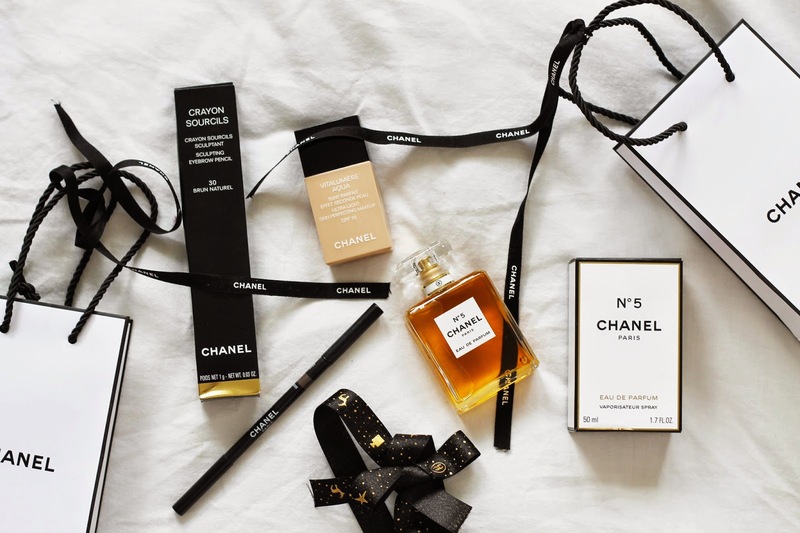 Dave gave me a lovely stocking this year, one carefully wrapped gift (by his sister, I think) was my favourite Chanel eye pencil, even in the right shade! I've been using it for years and don't think I'll ever be able to part with it. A more recent beauty discovery was the Vitalumiére Aqua foundation which I was kindly given by my Nan. I'll admit it's pretty pricey for a foundation and boy was I super thankful to unwrap it on Christmas day, but I just love how it sits on the skin and how light it is. I won't go too in depth with these products at the moment as they'll feature in my weekly beauty posts so stay tuned for Thursday's article! Another perfume that Dave gave me was Lily by Stella McCartney. I first had this on my eighteenth birthday almost three years ago as a present from my cousin. At the time Dave and I were just getting together so it's a nostalgic scent for us both, who said romance was dead? In amongst the other lovely things he gave me was this golden hip flask by Ted Baker, which I'm sure I'll make good use of on my upcoming Skiing trip, a wild cranberry scented candle and a gorgeous 2015 diary. Also pictured is a roll-on "Instant Inner Strength" scent by Aromatherapy Associates. This is probably one of my favourite gifts. 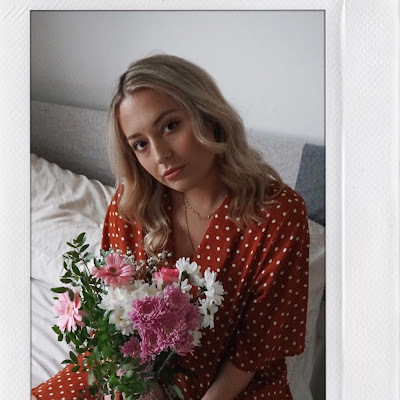 Last term at uni I got myself incredibly stressed out with the work load and managing the blog, queue growing anxiety and a few stressy phone calls home. My thoughtful mum picked this out in Space N. K for me, and the smell is honestly so centring. 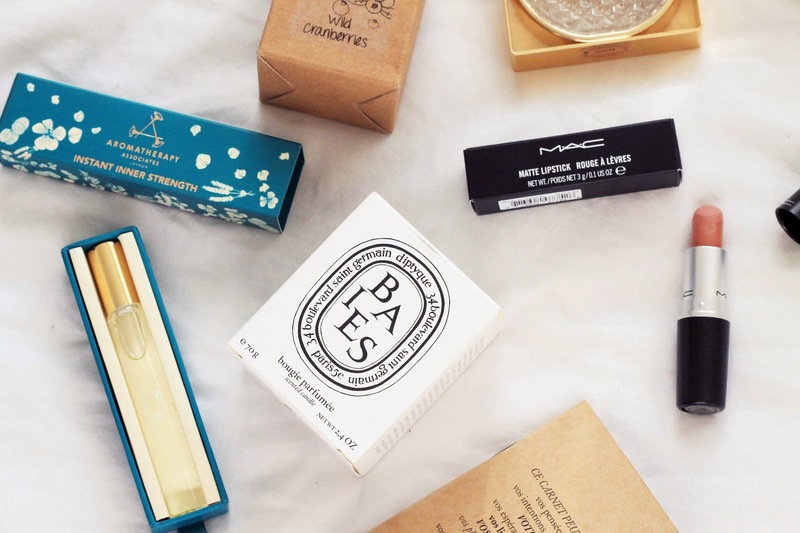 My best friend Milly got me a cute basket full of beauty goodies, including Mac's Honey Love lipstick which I've been lusting after for absolutely ages, along with a gorgeous sleek blush palette that I can't wait to do a full article on. 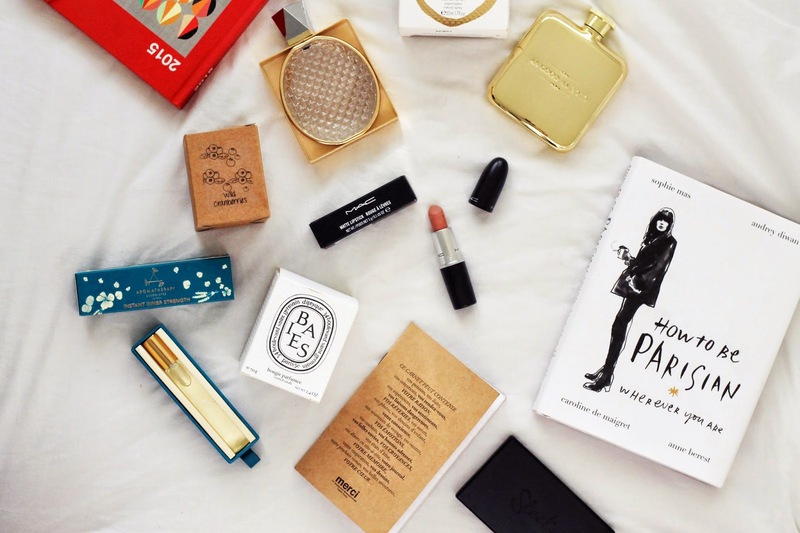 You can also see my new favourite book, How To Be Parisian. I spotted this in Paris and mentioned it to my mum, not knowing she'd actually already bought it! It's so brilliantly hilarious I may dedicate an entire post to review it. Perhaps the fact I made four trips there last year let her know I needed it. And finally, I have my hands on a Diptique candle thanks to my wonderfully generous brother. I can't quite bring myself to light it, so for now I'll continue to sniff the box. Hope you enjoyed this weeks New In post, this will most likely be a weekly or bi-weekly feature, let me know your thoughts! 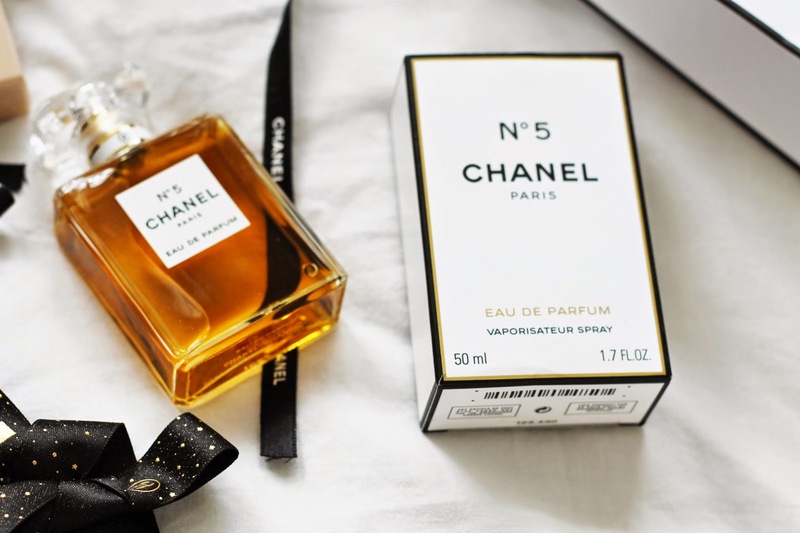 Chanel No5 is on my list of things to buy. Gorgeous pictures, that MAC lipstick is to die for! aah everything looks amazing! 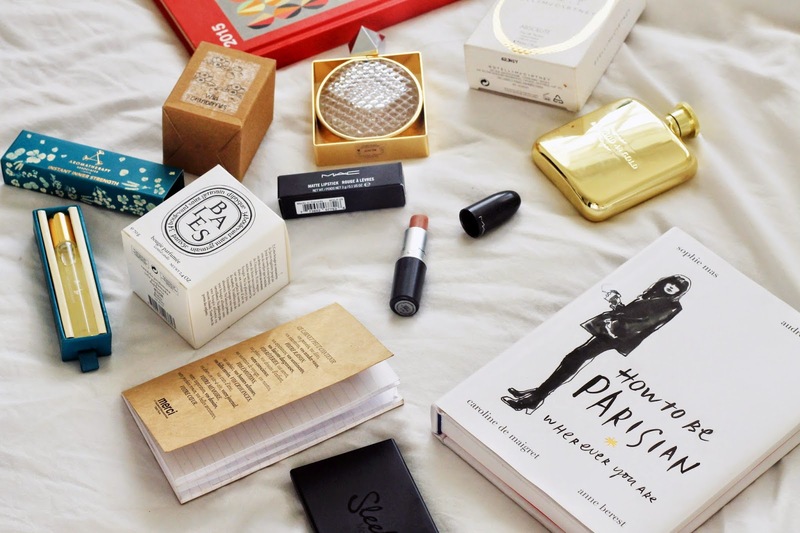 i really want to read how to be parisian!